Facts and photos of some truly amazing wild animals. Some of the featured animals are endangered, while others are featured simply because of their beauty. Regardless, they are all fabulous! 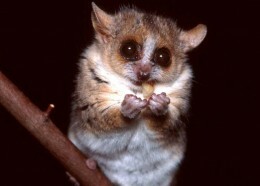 My favorite primate is the adorable little Mouse Lemur. Whether it is because it is so small that it seems to cry out for protection; because of those cute little beady eyes or just because it carries the name "mouse," I honestly do not know. I just know that I think these tiny creatures are precious. I have no doubt you will find them quite precious too when you read the facts about Mouse Lemurs. There are 8 known species of Mouse Lemurs. I say "known" because there really is very little known about Mouse Lemurs. The Grey Mouse Lemur, shown above in the photo in the introduction, is the largest known Mouse Lemur. The Pygmy Mouse Lemur is not only the smallest Mouse Lemur, but it is also the smallest primate in the world. Sadly, these little babies are on the endangered species list. 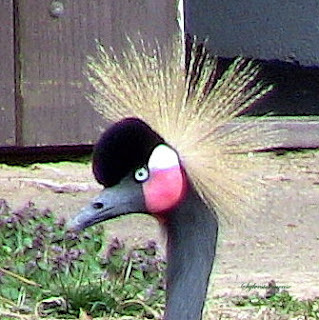 They live in groups that are primarily females and they eat fruit, insects, flowers, and plants. They are not easy to spot since they are so small and actually live in the trees. Mouse Lemurs are a protected species, but they are still illegally hunted and captured for the exotic pet trade. The Right Way to Bring Home Your Own Mouse Lemurs! Of course, everyone would like to have a little mouse lemur to love, but it is not in the best interest of the animal to remove them from their natural habitat. It is also illegal. This little plush animal offers a safe and happy way to bring home a Mouse Lemur! Email ThisBlogThis!Share to TwitterShare to FacebookShare to Pinterest Share on Tumblr Add to Flipboard Magazine. The writer(s) for Amazing-Wild-Animals.com are participants in the Amazon Services LLC Associates Program, an affiliate advertising program designed to provide a means for sites to earn advertising fees by advertising and linking to amazon.com. © 2010 Amazing Wild Animals™. All rights reserved.
. Theme images by Nikada. Powered by Blogger.